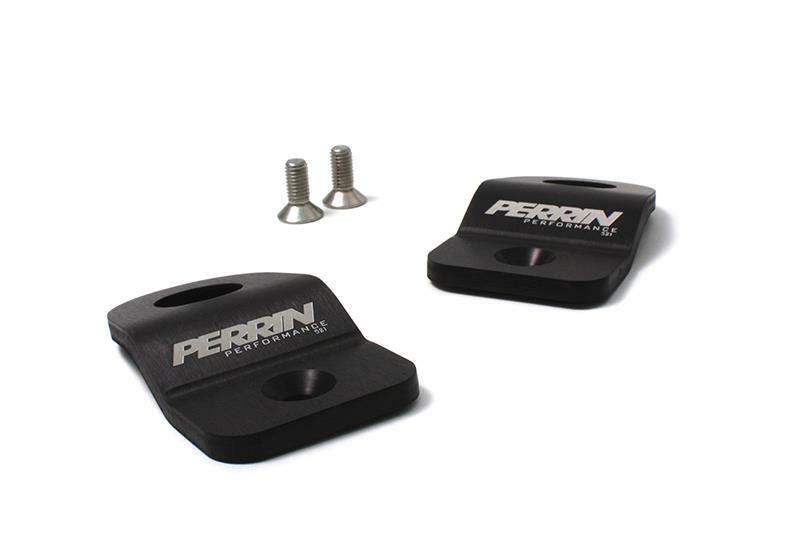 Dress up your engine bay with PERRIN Performance radiator stays. The look of these thick radiator stays will impress with their laser cut, anodized, grained aluminum design topped with the famous PERRIN Performance laser etched logo. 2002-2007 Radiator Stay Kits have a hood prop mounting location built into their design. Available in an anodized silver or black to accent just about any engine bay color combo.